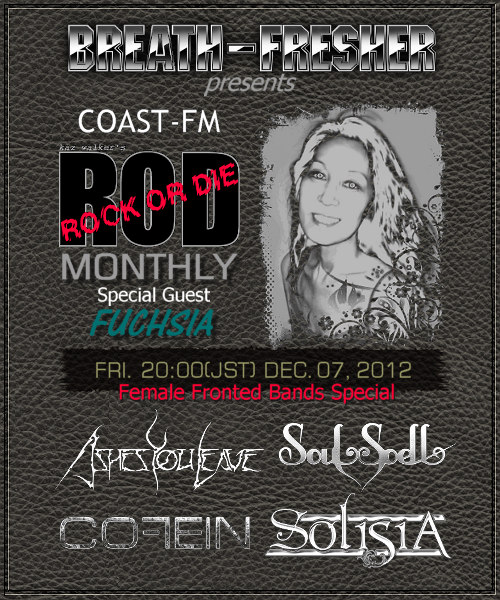 ROCK OR DIE Monthly #30 is aired at 8 pm (GMT+9) on Friday, December 7th 2012. 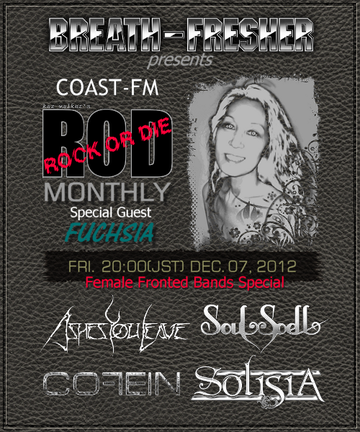 Following 4 female fronted bands come up for the show. After it was aired in Japan, we will upload it on a podcast you can hear. Ashes You Leave - Album "The Cure For Happiness"
SoulSpell - Album "Hollow's Gathering"